The baby boomer generation has a high direct mail response rate. The adventurous and youthful attitude of baby boomers make them unlike the typical retirees we’ve marketed to in the past. Within the messaging of your direct mail postcard campaign, encourage baby boomers to act with a strong and legible call to action, rather than focusing on trust. Did you know that baby boomers control 70 percent of all disposable income? The baby boomer demographic is arguably one of the best age groups to target because of its significant buying power. So when marketing to this target audience, it’s worth mentioning that this group has a high direct mail response rate. Baby boomers control 70 percent of all disposable income. In this guide, we’ll share three techniques that you can use to reach baby boomers through your direct mail postcards. Discover how you can make your marketing strategy boomer-friendly and effective. Conventional wisdom has long been that retirees value comfort, stability and the relaxation of a quiet life. Just as they defied the conventional wisdom of their era as teens, baby boomers are defying today’s stereotypes of retirees. Far from wishing for a quiet life, baby boomers are the most active retirees in history. Between travel and exercise, baby boomers typically have active lifestyles and hobbies that take them outside their comfort zone on a regular basis. Align your marketing with the baby boomer generation by focusing on the feelings that it prioritizes: adventure, change, achievement and happiness. Just like boomers tend to share tastes with their children, they also share many personal values. Baby boomers don’t like to sit still, both literally and metaphorically. Instead of focusing on the comfort factor that defined retiree marketing to generations before the boomers, focus on activity, adventure, change, growth and personal happiness. It might sound silly, but the baby boomer generation doesn’t want to feel old. Including grocery stores and financial advisers, an article in the Wall Street Journal reported that businesses are retooling their marketing to reach the aging boomer audience. Their priority is simple: don’t make them feel old. Unlike the Silent Generation of retirees, the baby boomers have more in common, at least when it comes to taste, with their children than they do with their parents. According to Research Now, 59 percent of baby boomers report feeling younger than they are. Although the boomers are getting older, their interests and lifestyles have a surprising amount in common with younger generations. Many baby boomers are seeking to downsize their home to free up funds for vacations, and they’re looking for fun neighborhoods that encourage outdoor activities and community. Baby boomers engage in social media and flock to innovation rather than shying away from it. Don’t rule out online tools for this generation either. Engagement with direct mail marketing can be used to lead your audience to online tools such as unique URLs that show market reports and virtual tours. Baby boomers engage in social media and are energized by innovation. Although baby boomers might not be surfing the internet as much as their younger generations, they are deliberate in their research, especially when on the hunt for their next home. Baby boomers tend to respond positively to marketing that’s up-to-date, modern and doesn’t make their age a major point of focus. However, there are some subtle differences to keep in mind, for example, font size. Using small and narrow font is not ideal for any audience, but it is especially important to avoid even with image captions when targeting baby boomers. To make any marketing piece more readable, it’s recommended to maximize the font size, leave white space and include more visuals than writing. Generations X and Y both grew up either during the development of the internet or after it became mainstream. As such, some might view direct mail as “legacy marketing” — a form of marketing that, though effective, is obviously commercial. 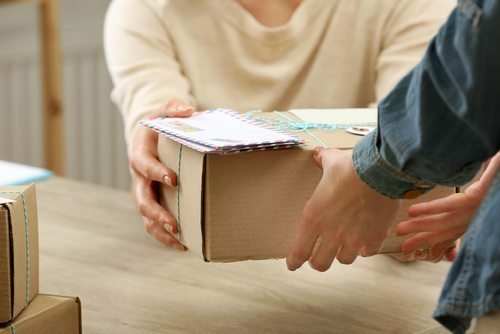 The baby boomers, on the other hand, tend to be more trusting of direct marketing and view it as their preferred channel of marketing communications; 68 percent of 45- to 64-year-olds prefer direct mail over other forms of outbound marketing. Because of the trust in this marketing medium, you can afford to be slightly more direct with your message. Rather than discussing why readers should trust you, explain why they should respond to you. Explain why readers should respond to you, rather than trust you. Consider highlighting that you understand where they might be in their life and emphasize why now is a good time to take action. A three- to six-month campaign can be built around educating them on their markets as well as highlighting your key differentiators. Establishing a targeted mailing list for a pre-scheduled campaign like this is easy through automation tools. Boomers are enthusiastic and responsive to marketing offers through direct mail, especially when these offers match their interests. Deliver a targeted message without the extensive trust-building that Generations X and Y can require. Deliver a targeted message without the extensive trust-building. Most baby boomers are already considering a transition from their larger family home to one that can accommodate their desired lifestyle with lower cost and maintenance. It can be advantageous to market to them as a buyer and in turn, attract them as a seller listing lead. Crafting a targeted message for them is as simple as showing you understand by bringing those opportunities to their attention in an attractive and informative way. Eric Cosway is the EVP and CMO of QuantumDigital. Follow him on Twitter.